Notes from the Comar design team... BIM ready. With thermal foam and triple glazing, U-values are reduced to 0.77, creating a future proof solution. The latest thermal break technology including foam. Large 62mm glazing pocket for acoustic or triple glazed glass. Slim sight lines for both the casement and tilt/turn. Fast-track semi unitised construction for floor to ceiling glazing. Windows hang direct from the Comar 9P.i Frame as well as rebated doors. Latest Thermal Break Technology Produces the Next Generation of Windows. Comarâ&#x20AC;&#x2122;s Design Team brief was to specifically meet architectural demands; low U-values, matching slim sight lines for both the casement and tilt/turn windows, large glazing pocket for acoustic glass, Secured by Design and large sizes. For our fabrication and contractor partners, performance with built in fast-track fabrication and installation. Choose from modern, traditional and heritage rainwater systems, available in Aluminium, GRP, Copper, Zinc and Stainless Steel. The concept of a new £20 million leisure centre and adjacent commercial development in Bingham, Nottinghamshire, has been approved by Rushcliffe Borough Council. Investigations into the feasibility of a centre at Chapel Lane, Bingham have been underway since October 2018, when international property and construction consultancy Gleeds was initially appointed to produce a study into the business case for a mixed leisure and commercial development at the site. Following a review of its findings, the council has opted to go ahead with the report’s proposals as part of the delivery of its wider masterplan for the town. CPMG, the architect responsible for the Rushcliffe Arena development in West Bridgford, has submitted its initial proposals as part of the study. In addition to the leisure centre, which includes both swimming and fitness space, outline proposals illustrate much-needed community space, 10,000ft2 of commercial office and plans to bring an adjacent industrial unit back into use. Michael Davies, Director of Gleeds in Nottingham, said: “Rushcliffe Borough Council is set to deliver a high specification leisure and community facility for residents of Bingham and we are delighted that it has accepted our recommendation to proceed. The planned new facilities perfectly dovetail with the council’s overarching masterplan for the area, which seeks to support healthy lifestyles and complement the continued growth of the town and the local economy”. Once detailed plans are approved enabling works could begin as early as spring 2019, with construction commencing in summer 2020.
www.isgplc.com Construction services provider, ISG, has added to its recent education win tally, securing an additional two projects in the South East valued at over £15 million through the Pagabo Framework. The two contracts are the latest in a series of recent projects awarded via the influential framework, including a £34 million project at Richmond College scheme, which drives efficiencies and best value across public sector procurement. The first of the new projects will see ISG’s Agility division refurbish Block D at Barking and Dagenham college to create a Centre of Advanced Technologies. The £7.2 million refurbishment of the centre will provide new teaching spaces, laboratories, open plan study areas, a café with associated plant rooms, storage areas and restrooms. External works will include new glazing and cladding and a high-specification feature entrance lobby area. The work on the new facility will form part of the upgrading works of the entire education estate, which will remain in full operation for the duration of the project. The second project will see ISG deliver a £7.9 million, 24,000 sq ft, two-storey, 83-bedroom, student residential unit at Oaklands College in Hertfordshire. The scheme also includes the construction of a new college car park and associated hard landscaping works on the western side of the campus. Zoe Price, group director for public sector frameworks at ISG, said: “The increasing focus on how our industry can work smarter and more efficiently to deliver high-quality and future-proofed spaces for our communities is driving real change within our sector. ISG and our partners have been working for 18-months on a standard component design for classrooms and we are seeing great synergy within the public sector, with the current government consultation on this very issue. “Pagabo is a key procurement vehicle to deliver vital community infrastructure, bringing a broad range of efficiencies into the project development cycle, championing innovation and collaboration and enabling contractors to bring schemes to site quicker than ever. It’s an exciting time to be working within the public sector procurement arena, where there is real momentum for transformational change that brings better results.” ISG start on site in March 2019 with both projects due for completion by the end of the year. The current framework runs until April 2020, enabling ISG to be selected for work from £5m-£50m+ in the North, Midlands, South West, Wales, London and the South East. fracture, buckle, become detached or encourage the spread of flame in the event of a blaze; as has happened with some product groups in the past. Far safer, the new generation of high performance safety glass, developed here in the UK and currently produced in Germany, bonds together - at a molecular level - metal, organic colour pigment and glass to create a unique laminate. Crucially, tests on samples as well as individual tiles of the constituents conducted at the renowned Exova fire research laboratories have proved the combination achieves an A2-s1-d0 rating: meaning it is not only noncombustible, but generates the lowest possible levels of smoke and flaming droplets. spandrel panels; whereas other products frequently allow argon and other gas filling for cavities to escape. Visually, any spandrels or other panels produced from the revolutionary new composite are totally flat, with the colour process offering a vibrant and totally consistent quality. The finish is also fully opaque and remains UV stable. Such is the superiority of the glass compositeâ&#x20AC;&#x2122;s performance that it is already being used in ventilated rainscreen and full curtain wall applications, while a number of social landlords have already begun specifying it to replace standard spandrel panels. Time on site is costly, the provision of equipment, services and people all add up to a considerable cost. Add the non-productive time or loss of revenue for the client during the construction phase of his project, and we can see how important a tight programme is. So anything which helps speed up the process would have a direct implication on build costs. Offsite construction technology continues to advance and, with modern techniques, both structure and finished envelope can be assembled in a matter of days rather than weeks. Exponents of this technology claim that build times can be reduced by up to thirty percent. This modular approach can include finished, fitted, weathertight windows and facades. Modularisation on this level works particularly well when there is a repeat in the structure or envelope, such as offices or apartment design. The recently completed, Plot 24 residential apartments at Royal Wharf, London, utilises a modular construction, consisting of a concrete, on-site assembled structure with brick faced facade panels which include fitted aluminium window systems from Aluprof. The precast system was designed, manufactured and installed by Byldis of the Netherlands. Managing Director of Aluprof UK comments, “Great to see completed building with glazing system supplied by Aluprof and incorporated into precast elevation panels by Byldis. A truly revolutionary approach which we hope to work in close collaboration on future projects in the UK.” Plot 24 was designed by Glenn Howells and delivered on site by TODD Architects Limited. The completed build at Royal Wharf now releases almost two hundred apartments into the London city housing Market. Contractors on site were the Ballymore Group and project management undertaken by Acumen. Aluprof UK’s head office and distribution centre is located in Altrincham, Cheshire. Aluprof systems are increasingly being specified on a wide range of residential and commercial projects across the UK. Systems are designed, fabricated and installed by selected, specially trained local companies, to ensure each fabricated product meets Aluprof’s exacting standards. Further information is available on the company’s website at www.aluprof.co.uk and specialist advice is available directly from Aluprof’s UK head offices on 0161 941 4005. It is a real honour to be involved in this project which in itself if part of an awe-inspiring feat of engineering. We are delighted that GEZE products will be opening doors to this station which will play a pivotal role in the success of the new Elizabeth line when it opens. The tiles have been so well received by patients and staff alike, they have brought colour and interest to the entrance of the hospital, which is no longer a blank canvass. the Jackfield Tile Museum, Shropshire, where she was given access to a wealth of archives, including relief and embossed tile designs from the 19th century. A collaboration with artisan tile maker Craven Dunnill Jackfield On her first visit to the Museum, she was introduced to Adrian Blundell, production director at the adjoining specialist tile-makers, Craven Dunnill Jackfield. The company is acclaimed for its original tile production and ceramic expertise. It proved to be a pivotal moment for Frances Priest, leading to her decision to collaborate with the company on the project. She explains: “To properly collaborate with a manufacturer like this – it’s gold dust. Craven Dunnill Jackfield is a rare species and we need to safeguard it – there aren’t any others like it!” Whilst Adrian Blundell comments: “Frances’s empathy with ceramics and her creativity meant she was able to push the normal boundaries of design, arriving at something new and contemporary.” A team of around 20 ceramists worked on the project, ensuring its smooth progress. Production started in August 2018 and the tiles were installed at the hospital in December 2018. The completed piece features more than 2500 tiles, slip cast by hand at CD Jackfield. These are interspersed by some 300 of Frances Priest’s studio-made tiles, featuring a flower style reminiscent of her Pattern and Flora work. A bespoke palette of coloured crackle glazes was developed for the project, including ochre-yellows, teals and dramatic accents of deep blue and pink. A lasting impression on the senses During the two weeks it took to install her artwork, Frances received comments from those passing along the corridor, including how the tiles sparkle in the sunlight and how the colour-drenched space creates a sense of warmth and of somewhere hot, like Morocco or India. She was also surprised and touched by the members of staff who told her they love the sense of opulence in their working environment, created by the glazes and colours, and that this contributes to making them feel valued in their jobs. Interphone, the leading security and building systems integrator, is hosting a product exhibition and training day for managing agents, facilities managers and other propertyrelated professionals. The company has teamed up with a number of its key partners to showcase the latest building technology developments for the commercial residential sector. This will run alongside a programme of seminars including Gate Safety and GDPR for property management businesses. The event will take place at the Building Centre in Fitzrovia, Central London, on Wednesday 11th September, and is free to attend. It will run throughout the day from 9.00am to 5.00pm, with morning and afternoon training courses including presentations from keynote guest speakers. A Gate Safety session will cover the safety issues and risks associated with powered gates and barriers, while a GDPR session will provide insight into how data protection is impacting the property management marketplace. 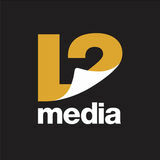 The event will cover a wide range of management and control solutions. Anyone wanting to book a place can register here: http://interphone.co.uk/events/product-open-day/. 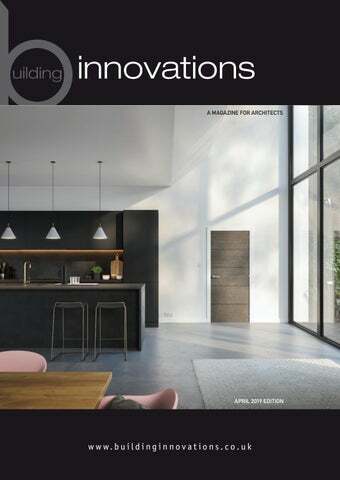 JS Air Curtains has released an updated product catalogue including over 450 units and customisation features set to inspire architects into making a design feature of their entrance’s air barrier system. As well as clear product information and at-a-glance selection guides, the catalogue incorporates lots of images to illustrate the vast array of mounting systems, colours and aesthetic options available. New to the exposed range is the Essensse Neo air curtain, a highly efficient model, ideal for small shops and restaurants to office buildings and banks. Its unique “straw system outlet” steadily blows out air at high pressure to provide the best possible seal across a doorway, preventing cold air entering in the winter and air conditioning escaping in the summer. Kerry Jones, UK and Ireland Sales Manager at JS Air Curtains comments, “This new catalogue marks a further expansion of the JS Air Curtains range and a focus by the industry on energy saving technology. More advanced control options and efficient fans make a product designed to reduce a building’s energy consumption, even more energy conserving. Details of run-cost analysis alongside all the product selection information, continues to make the JS Air Curtains catalogue the “go-to” resource for air curtain specifiers and buyers.” The catalogue is available as a PDF download, an online flip catalogue or can be requested as hard copy from www. jsaircurtains.com/catalogue. JS Air Curtains, has been supplying a comprehensive and competitive range of air curtains for all commercial and industrial applications since 1999. We offer professional advice on air curtain projects, system design, supply and after-sales support. You can find out more by visiting the company’s website at www.jsaircurtains.com. Hackitt’s independent recommendations will form a cornerstone of the changes to come. Shaping future product specification, installation and ongoing use throughout the life cycle of buildings. For specifiers struggling to evaluate fire door solutions in this changing world, especially in respect to residential high-rise and complex buildings. It is comforting to know that Vicaima fire performance products offer a benchmark to the industry, with exceptional test evidence and incorporating key elements of Hackitt’s recommendations that less enlightened manufacturers have yet to adopt. Third party accreditation is assured, as Vicaima adhere to not one but two nationally recognised and highly reputable bodies to verify the performance of our products, namely BWF-Certifire and BM TRADA Q-Mark. In each case traceability is always visible with the use of tamper evident labels and plastic plugs to provide clear understanding of fire rating and of course origin of manufacture. This simple but effective marking, alongside a detailed inkjet stamp system to identify exact date of manufacture, enables Vicaima to establish complete control of our products throughout their lifecycle. Of course the fire door in itself does not provide the complete solution, this can only be achieved with compatible and rigorously tested components, including the correct frame and ironmongery. This is why alongside fire doors, Vicaima also manufacture an extensive range of doorset and kit solutions to create a complete, fully tested assembly via our Easi-Fit and Portaro brands. Doorsets represent a growing trend, advocated by government and industry as the way to ensure the whole system is safe and compliant. Smart Architectural Aluminium showcased a wide range of products and systems at this year’s Futurebuild exhibition. At the heart of the company’s stand was its high-quality, high-performance Designer Door range, as well as a series of innovative displays featuring its Alitherm Heritage, Visotherm and MC 600 ranges. Launched last year, the comprehensive Smart Designer Door range features a wide choice of styles and designs, from the contemporary Modern collection, to the Traditional, Cottage and Vintage portfolios, whose designs sit perfectly with more rural properties or the timeless styles of the Victorian, Edwardian and Regency eras. The design styles are complemented by a wide range of size, glazing and door furniture options, as well as a broad spectrum of colours and finishes from Smart’s extensive colour palettes. Commenting on the company’s presence at the show, Managing Director Eddie Robinson, said: “We were delighted to return to ExCeL for the 2019 Futurebuild exhibition, where once again we took the opportunity to showcase a broad range of new products and systems. “This year, our Designer Door system took centre stage on our stand, with a range of style and colour variants on display, alongside a number of our new door and window products. Our display also featured our proven Alitherm Heritage system, which this year we showed in an art-deco style screen display. There was certainly a lot for visitors to see on our stand and we very much enjoyed welcoming them and discussing our extensive range of high-quality, thermally efficient and elegant solutions.” Amongst the range of new products was an impressive faceted MC 600 display, as well as a screen and door set to showcase the versatility and capability of the Smart Alitherm Heritage system. This featured a combination of casement and tilt & turn windows, and double doors, all designed to recreate a typical art-deco glazed screen. For more details on any of Smart’s new or existing systems, visit www.smartsystems.co.uk or call 01934 876 100. Comar 9P.i High Performance Window, Door & Framing System After extensive research and consultation with key supply partners, Comar Architectural Aluminium Systems deliver the Comar 9P.i High Performance Window, Door and Framing System. Research indicated that a thermally efficient future-proof facade system was required, with off-site manufacture and value engineering solutions that actively seek to reduce material content. maintaining consistent lines for a sleek external facade providing straight interfacing with walls, internal floors and partitions. Comar 9P.i High Performance framing offers two options of construction, ladder frame or mitre frame. Comar 9P.i windows and 9P.i doors can be hung directly from the frame, reducing the need for additional outer frames, creating a truly integrated solution. Building typologies differ from refurbishment to new build, so Comar 9P.i has profiles widths from 78mm, 100mm and 120mm creating greater design flexibility. Comar 5P.i Vertical Sliding Windows and Horizontal Windows can also be integrated into the Comar 9P.i framing. Glazing sizes have been catered for up to 62mm meaning that future requirements for high performing acoustic or triple glazed projects can be specified. Consideration is also given for plaster-lines with profiles to cater for differing situations. Comar 9P.i windows can be open-in or openout side, top or bottom hung and a tilt and turn option, offering unobtrusive ventilation. GEZE Solution Is Just The Ticket Laser precision proved to be just the ticket in the redevelopment of Telford’s bus station where the latest GEZE technology has combined efficiency with passenger safety. sensor – a new product devised for use in environments that have specific and demanding requirements. Integrated within the shopping centre, the bus station acts as a ‘hub and spoke’ operation for the borough’s transport network and is intended to boost economic growth by encouraging increasing visitor numbers into to the town and providing an “attractive gateway”. The re-development is a partnership between Telford Shopping Centre, Arriva and Telford & Wrekin Council which secured £1.3 million for the Marches Local Enterprise Partnership towards the improved bus station facility. The improvements are part of a wider programme of expansion and modernisation costing £200 million and coincided with Telford 50 – the golden anniversary of the creation of Telford as a new town. 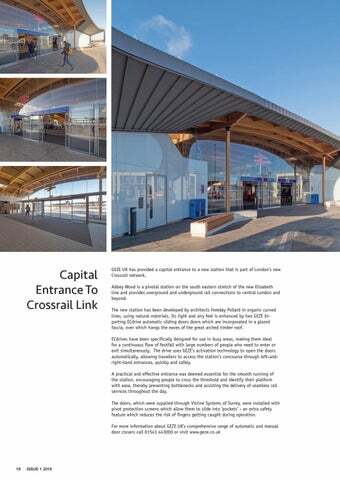 Andy Howland, Sales and Marketing Director for GEZE UK: “The redevelopment of Telford Bus Station has significantly improved the facilities for commuters using public transport and making it a pleasurable experience. loops which need to be embedded into the ground and sealed with bitumen in order to install. Sensor loops also deteriorate over time and can be expensive and awkward to replace. 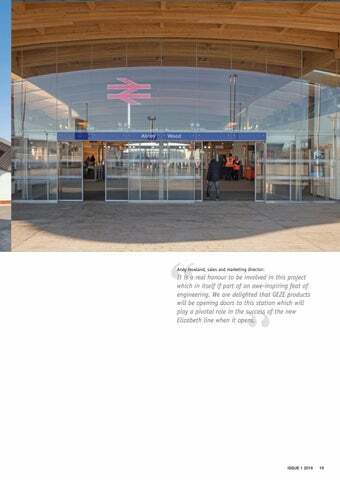 They not only make an ideal safety barrier but also add to the improved aesthetic of the station. With a height of just 7cm – Slimdrive SL NT operators are almost invisible, virtually silent in operation and can move leaf weights of up to 125kg. They are ideal for buildings with high levels of footfall and a continuous flow of people heading in and out of the building. solutions, such as an unsecured individual elastomer support under the stairs, any displacement can result in a broken concrete edge due to incorrect support. This means the risk of dirt and gravel getting into the gap, which can easily reduce acoustic insulation performance by around 10 dB. On-site or in the prefabricating plant The system consists of seven main product types that can be mixed and matched to form a fully integrated solution either on-site, or in the prefabricating plant. Central to the performance of the Tronsole system is Elodur, an elastomer support formulated to ensure optimum acoustic insulation and low deflection. Compared with conventional strip supports, Elodur assures an impact sound level difference of approximately 32 dB, which constitutes an improvement of around 10 dB. The Tronsole system is suitable for emergency exits and complies with the requirements for fire resistance class R90 (subject to appropriate on-site additional reinforcement of the landing). For comprehensive information about the Tronsole system contact Schöck on 01865 290 890; or visit the website at www.schoeck. co.uk The full Product Brochure is available and installation videos are also available online. for the job which blended well with the stone paving and would resist damage from applied grit rock salt in freezing weather. The material, PA-GF used to make the FIBRETEC® grating, was especially developed by Hauraton; the tough, UV resistant, fibre reinforced moulding offers high stability and huge strength for its weight. Complying with loading category Class C250 (BSEN 1433) the grating can easily take the weight of commercial delivery vehicles. The design is a real innovation as its non-corrosive material provides a visually appealing surface finish that retains its colour. The slots are super smooth, elliptical openings with the moulded bars having slightly raised triangular bosses along their outside edges. As well as providing an elegant appearance, the feature ensures surface water is directed into the slots. The RECYFIX® channel component is made from 100% recycled PP. The PRO 100 model is factory fitted with the FIBRETEC® grating and only weighs 4.6kg, so the unit was easy to handle and quickly installed on site. For more product information go to www.hauraton.com . For other Case Studies go to www.drainage-projects.co.uk . ESi Controls - Boiler Plus Compliant Over recent years ESi has enjoyed phenomenal growth and is a highly competent heating controls brand, and it proudly stands behind two of its control products that very definitely are Boiler Plus compliant and selling very well on that basis. ESi’s ESRTP4RF and ESRTP5 Wifi controls are both fully Boiler Plus compliant, offering a smart thermostat with Automation and Optimisation as standard. Take a closer look at the ESi solutions available to you on the company’s straightforward and easy to navigate web site at www.esicontrols.co.uk. Alternatively call them on 01280 816 868 or email them for information on sales@ esicontrols.co.uk. Rinnai Hot Water Infinity 1600 Low–Nox Units & Systems Making Economic Sense For Commercial & Domestic Sites Rinnai, the UK’s leading manufacturer of the ErP A-rated Infinity range of continuous flow condensing gas fired water heaters, delivers the most energy efficient range of low-NOx hot water heating units currently available to the UK end user. advanced temperature control system which allows for safe running of water at 42°C core temperature during the day and 60°C when a building is closed. By the time the building reopens, core temperature is 42°C for safe use. agent to perform a lime scale flush to clear the potentially harmful deposits. This avoids and eliminates the adverse effects associated with lime scale build up, including lower energy efficiencies and potential product degeneration. Another Rinnai innovation addresses an ageold industry problem with hot water delivery lime scale build-up. The company’s integrated scale control system is an innovative solution and comes in the form of an LC (lime check) code on the display of the controller. Installer Hails ‘Modern Method Of Underfloor Heating A Southwest based plumbing and heating contractor has expressed his belief that underfloor heating systems can not only deliver optimum energy efficiency, in tandem with renewables or conventional boilers, but also that they can be simple to install and – crucially – respond as quickly as radiators. Trowbridge based Lee McClurg Plumbing Limited works mainly in the domestic sector and has completed more than 50 properties for award winning developer, Ashford Homes using OMNIE’s TorFloor system. In its most recent project involving the use of OMNIE underfloor heating, Lee McClurg Plumbing installed both the ClipPlate system across the beam-and-block ground floor construction and the TorFloor system, fitted directly across a first floor structure of the widely used metal web joists. Thus demonstrating the compatibility of the manufacturer’s portfolio with Modern Methods of Construction. Yeoman Shield Twin Handrail Chosen For New Care Unit At William Harvey Hospital Yeoman Shield were assigned by main contractors Bauvill Construction to install a wall and door protection system as part of the scheme to create a new Cardiac Critical Care Unit (CCU) and Cardiology ward along with an access corridor at William Harvey Hospital in Kent. guards both the handrail and the walls from marking and damage caused by the passage of wheeled equipment. the system will help less abled patients get around hospitals giving them something to grab on to if needs be, helping to prevent falls. The design of the rail has the added benefit of being easy to clean which adheres to our infection control policies.” For more information on Yeoman Shield wall & door protection products please go to www.yeomanshield.com or call 0113 279 5854. Salice UK are delighted to have teamed up with Michael Farrell Furniture, supplying their Eclipse pocket door system for installation within their kitchen ranges. Michael Farrell Furniture had total confidence in choosing Salice’s Eclipse pocket door system, as they were aware that it is the premier system available today. Michael Farrell Furniture is a family business established in 1979 committed to the design, manufacture and installation of the highest quality custom kitchens and furniture. Michael started making one-off kitchens and custom furniture from a small workshop and since then the company has grown steadily in size but has retained Michael’s original values of quality, integrity and personal service. In 2013 they opened their first public showroom in Wexford in Ireland, displaying a sample of the quality of craftsmanship that they have built their reputation upon. Levolux Turns It Around For British Sugar A new multi-million-pound headquarters development for British Sugar in Peterborough is now complete. A host of features were incorporated to improve the energy efficiency, functionality and aesthetic quality of the building, including an external Solar Shading solution from Levolux. The three-storey building, which occupies a 4.5-acre site in Hampton to the south of Peterborough, was designed by CPMG architects. It provides first-class office accommodation for 300 employees, in addition to training and conferencing facilities, a cafĂŠ and a range of meeting spaces set around a central, threestorey atrium. Based on the concept of a â&#x20AC;&#x2DC;white boxâ&#x20AC;&#x2122;, the square-shaped building harnesses passive design principles to maximise use of light and heat from the sun. This influenced the orientation of the building, the adoption of high thermal mass construction and the requirement for brise soleil. Working with Bowmer & Kirkland, Levolux developed an operable solar shading/brise soleil solution, applied externally across fullheight glazing at first and second floor levels. The custom solution comprises two rows of vertical glass fins, fitted to south, east and west-facing elevations. In total, Levolux provided 398 glass fins, each measuring 750mm wide, by 4.2 metres high and 25mm thick. The 750mm wide glass fins are set at a pitch of 750mm and are formed from toughened, laminated glass. All glass fins can be rotated, with pivoting brackets, integrated actuators and link bars ensuring a smooth, synchronised operation. An intelligent, programmable control system automatically changes the angle of fins, taking input from external light sensors. The ability to fully exploit passive cooling at any time and on any day can result in significant cost savings due to reduced demand for mechanical heating and cooling. The intelligent solar shading solution developed by Levolux tracks the movement of the sun and makes corresponding adjustments to the fins to maximise thermal comfort levels. Occupants of the new British Sugar HQ development in Peterborough will be relieved to find that as the weather changes, during the day and through the year, the interior of the building will remain cool and comfortable, partly thanks to Levolux. For more information, please visit www.levolux.com. Rinnai Delivers Hot Water On Demand At Ty Coryton Site For Orbis Education & Care In South Wales Rinnai continuous flow water heaters have been installed on site at the Tŷ Coryton site of Orbis Education & Care, an organisation dedicated to providing specialist care for children, young people and adults. Orbis offers specialist schools, community homes, respite care and community-based work-skills services. This application of the Rinnai continuous flow hot water heating products and systems was at an accommodation/care home facility containing 27 rooms with an extra-ordinary demand of hot water, primarily due to the frequency, timing and longevity of the use of showers, baths and basins. As such Rinnai provided five HDC 1500i continuous flow water heaters, powered by Natural Gas, which at peak can provide in excess of 5,000 l/hr. The installed system included concentric flues and a secondary return complete with expansion vessels and valves to ensure G3 compliance. Tŷ Coryton is set in extensive parkland on the outskirts of Cardiff, in the friendly village of Whitchurch with its cafes, restaurants, parks and travel connections. Tŷ Coryton offers a range of on and offsite activities, encouraging the students to contribute to and enjoy a sense of community. Whilst the school offers an engaging and flexible curriculum tailored to the learning needs of the individual, the residential building is divided into separate communal flats, each with separate bedrooms, and with kitchen and lounge areas. Each resident is encouraged to take an active role in personalising their own bedrooms as well as their collective communal spaces. With education, care and in-house therapy teams linking closely together, Tŷ Coryton offers a 24-hour waking curriculum of learning, life skills and leisure. The highly qualified and experienced team supports children and young people with autism and complex needs to develop key life skills in line with their individual Behavioural Support Plan. Orbis is an award-winning organisation providing a blend of education and care with therapies available including: speech and language; occupational therapy; clinical psychology; positive behavioural support; music therapy; psychiatry; dietetics and complementary therapies. Howe Green Provides Innovative Access Solution For NHS’s Newest Hospital Howe Green Ltd, the UK’s leading manufacturer of floor access covers, has supplied nearly 70 covers to the newest and most digitally advanced hospital in the NHS estate. The £200 million redeveloped Chase Farm Hospital in Enfield became fully operational last autumn. Howe Green’s Visedge Series Flexible Floor Access Covers and 7500 Series Medium-Duty Aluminium Floor Access Covers were installed throughout the 20,000 square metres of internal flooring. The Visedge covers were infilled with vinyl flooring. The floor finish for the 7500 Series varied depending upon the location of the cover. The Howe Green access covers enable safe and easy access to building services concealed under the flooring of the hospital. The covers can be removed for maintenance purposes with the use of lifting keys. The Visedge Series provide a durable, lightweight, non-rusting access solution for flexible sheet flooring systems in environments with pedestrian footfall, wheeled trolleys and sack trucks. Double sealed, the Visedge covers are ideal for a busy hospital where the highest standards of hygiene and security are required. 7500 Series Medium-Duty Aluminium Floor Access Covers are used for all types of hard floor finish, including ceramic tiles, terrazzo and wood. They offer a heavier loading than the Visedge, with a five tonne pneumatic tyre wheel load suitable for cars and light delivery vehicles. The Visedge and 7500 Series are available as single covers, duct runs or as multipart units. Standard sizes are available from stock and bespoke sizes can be manufactured to order with no time or cost constraint. For further information please call 01920 463230 or visit www.bilcouk.co.uk. out the renovation to their own preferences, in our opinion designed out some of the industrial heritage. When we purchased the property, it was our intention to restore some of these features.â&#x20AC;? Ian explained. Wanting to replace the white plastic gutters and downpipes at the front of the house with a rainwater system that would reflect such qualities, various avenues were searched. The result of which was Yeoman Rainguard whose XL Aluminium range ticked all the boxes when it came to style, ease of installation and durability whilst also being cost effective. Yeoman Rainguard 130 x 100mm deep flow half round XL Aluminium gutters were installed giving real impact to the house frontage.100mm dia. downpipes were added below Cast Aluminium Motif Hoppers helping to further emphasise the desired effect. Finished in a durable yet stylish black polyester powder coating the aluminium rainwater system will provide the house with 30 + years of maintenance free service. SE Controls Helps Protect Passengers At The World’s Longest Sea Bridge Terminal The passenger clearance building (PCB) at the world’s longest combined sea bridge and tunnel is using smoke vents and failsafe linear actuators from SE Controls Asia to help protect passengers and officials by ensuring escape routes are kept clear of smoke should a fire occur in the 90,000 sq.mtr structure. Designed by Aedas (Hong Kong) in collaboration with Rogers Stirk Harbour & Partners (RSHP) and opened in late 2018, the Hong Kong-Zhuhai-Macao Bridge (HZMB) is 34 miles (55 km) long and spans two channels of the Pearl River Delta to join Macao and Hong Kong with mainland China at Zhuhai in its southern Guangdong province. In addition to the three cable stayed bridges, the nine year long building project also included the construction of a 4 mile (7 km) sub-sea tunnel and four artificial islands, as well as the two-storey PCB, which houses retail units, food and beverage outlets visitor centre, as well as the ground floor arrival hall and the first floor departure hall. As part of the wide range of sustainable construction methods and energy efficient technologies used in the building, it is also capable of generating much of its own energy and water. The PCB is part of the port area, which is constructed on an artificial island of around 150 hectares that has been reclaimed from open waters while the terminal’s undulating modular roof design and glazed curtain walled structure allows plenty of natural light and fresh air to enter the building. The smoke control system is equally advanced and incorporates almost 2,000 smoke vents into the design. These are located in three individual zones to give greater control over the ventilations system, which enables escape routes to be kept free of smoke if a fire should occur. Regal Rainwater Systems For Queen Anne Style Refurbishment Yeoman Rainguard rainwater systems have played a part in the refurbishment of one of Potton’s show homes, The Milchester. After many years of service, it was time for The Milchester to under-go a refurbishment, both inside and out to modernise facilities. A new rainwater system in the form of Yeoman Rainguard’s XL Aluminium 125 x 100 MOG profile gutters along with 75 x 75mm square downpipes finished in a durable and stylish black textured powder coating was installed. For more information on Yeoman Rainguard rainwater systems go to www.rainguard.co.uk or call 0113 279 5854. The retail sector is a complex world, with each outlet often having different flooring requirements. Whilst shopping centres may lean more towards aesthetics, supermarkets need to blend the decorative with the durable. One criterion that remains consistent across the sector is the need for the flooring to meet the challenge of the high footfall expected in these areas. For supermarket environments, it is not just footfall that the flooring would need to withstand, but wheeled trolley traffic too, as well as exposure to spillages and organic acids that threaten the sanitation of a space. Whilst protecting against possible abrasions and the chemicals from dropped foodstuffs, supermarkets also need to provide a safe and slip resistant profile with an easy to clean and maintain finish. Speedy Checkout Whether undertaking a flooring installation as part of a new-build or refurbishment project, time is always of the essence. Retail outlets cannot afford long periods of unprofitable downtime and so often need a new floor overnight to avoid losing business and inconveniencing customers. Luckily, there are several systems within the market that allow for a quick installation. Resins that incorporate methyl methacrylate (MMA), a catalyst for speeding up the rate of cure are particularly ideal, with some systems taking just two to three hours to fully cure. Finding fast curing systems that can also endure the daily challenges inherent in supermarkets may seem like no easy task, but Flowcrete UK offer a range of flooring systems that deliver an attractive finish underfoot and can be installed under a quick turnaround. MMA systems do release a strong odour and good ventilation is needed as well as smart working practices to ensure that the odour is dispersed sensibly, away from foodstuffs. Product Suitability One such system that is ideally suited to the main concourse of supermarkets is the decorative Flowfast Terrosso. This seamless, hardwearing acrylic resin floor finish was developed for high traffic retail environments. Available in a range of classic colours, this system can tolerate full traffic after a curing time of two to three hours. In contrast, back of house areas, such as warehouses, will require all the durability of epoxy, but not necessarily all of the decorative aspects. Systems such as Flowcoat SF41, the high performance, chemical resistant epoxy resin coating is ideal for storage areas thanks to its wear resistance and ability to endure footfall and wheeled equipment such as forklifts. For areas where customers are likely to stop and take in the surroundings slightly more, such as at the checkout, more decorative options could be used such as Flowfast Quartz Classic from Flowcrete UK. This resin floor topping is made up of colour stable aggregates encapsulated in clear acrylic resin binder, and again has a quick cure time of two to three hours. In the same vein, flooring that is more decorative still can be specified for areas such as supermarket cafes, where customers go to relax with a spot of lunch or a post-shop coffee. Here, the flooring would need to be durable to withstand the regular movement of chairs and tables and resistant to sugary food and drink spillages. Flowcrete UK’s fast curing seamless resin terrazzo range Mondéco Rapide is a fantastic choice for such areas. Clean Up in Aisle Three Seamlessness is a key requirement for supermarket flooring as dirt and bacteria have no joints or gaps to hide in, and can therefore be easily cleaned away. This becomes even more paramount in foodhandling areas, such as supermarket butchers, fishmongers and bakeries. For these areas, antibacterial flooring can be specified to further reduce the risk of contamination. The Flowfresh range combines performance with the natural cleaning power of Polygiene, an antibacterial additive that can kill up to 99.9% of bacteria on a floor’s surface, when teamed with a regular cleaning regime. This cementitious polyurethane system was designed for use in food and beverage facilities, and so is a great choice for areas of this nature. If you would like to find out more about flooring solutions for the retail sector, contact Flowcrete UK’s resin flooring experts today on uk@flowcrete.com.